On a recent day trip from Southdowns (a neighborhood in Baton Rouge, LA), I drove up to St. Francisville with a friend to have lunch. One of the reasons was to cross the new John James Audubon Bridge and marvel at our new local record setting attraction. As many of you know the high water of the Mississippi shut down the ferry operation thus forcing the opening of the bridge ahead of schedule. Well I have to tell you it was worth the trip. 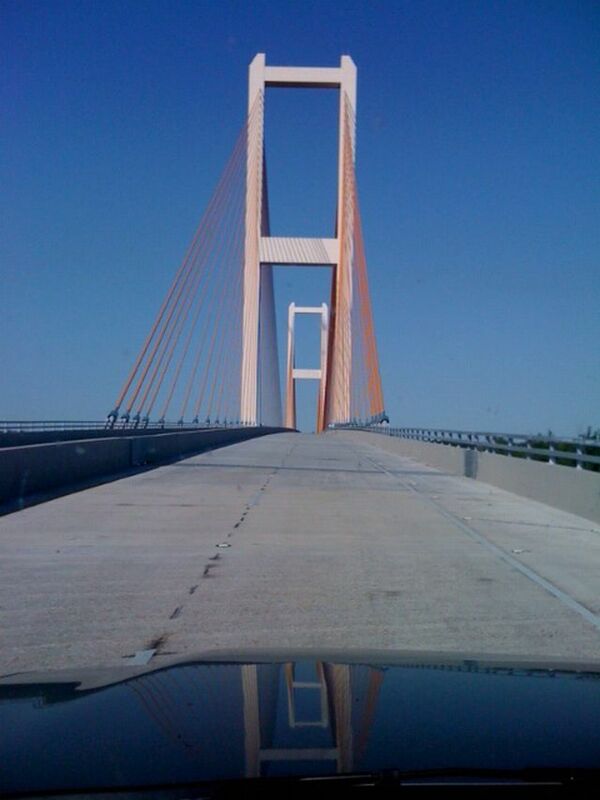 The John James Audubon Bridge project is a new Mississippi River crossing between Pointe Coupee and West Feliciana parishes in south central Louisiana. The bridge is the longest cable-stayed span in the Western Hemisphere and replaces an existing ferry between the communities of New Roads and St. Francisville. The bridge also serves as the only bridge structure on the Mississippi River between Natchez, Mississippi and Baton Rouge, Louisiana (approximately 90 river miles). Four new intersections at existing LA 1, LA 10, LA 981 (River Road) and US 61 for entry to and exit from the new roadway and bridge. Artist John James Audubon dedicated his life to painting all of the birds in North America. He painted 32 of his famous works in his Birds of America series while residing at Oakley Plantation at St. Francisville as a tutor to Eliza Pirrie in 1821. Naming the new bridge after Audubon is significant to the project because it exemplifies the importance and preservation of the rich natural history of the region.